Betsy Klein, founded Plan B to Save Wolves in 2016 along with Timon Pratt. 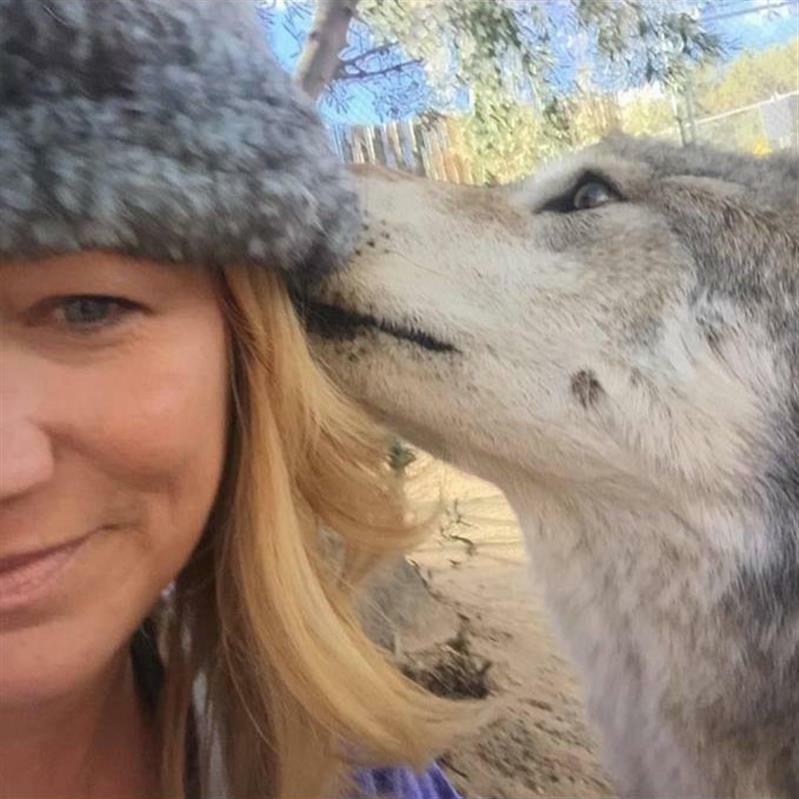 Initially leveraging her 25-year background in Marketing and Communications, the genesis of Plan B was aimed at helping other nonprofits that specifically supported wolves and wolf dogs with marketing, development/fundraising and board development. Under her leadership the foundation has quickly expanded in both scope and reach becoming nationally recognized as an extremely effective grass roots animal advocacy organization. In its brief three-year history Plan B has been involved with the rescue of 200 wolf dogs, provided much needed funds to over 20 wolf rescue organizations, developed and co-produced Sedona Wolf Week with Apex Protection Project, launched I AM WOLF NATION™, lobbied at the Arizona State capitol on behalf of a bill to increase penalties for animal abuse and advocated locally, regionally and nationally for numerous other conservation efforts. As a member of the National Coalition to End Killing Contests, she is currently working alongside other organizations to end killing contests in Arizona. Her latest project is developing and launching the Call of the Wild Mural, an international collaborative public art installation in support of the Endangered Species Act. She is currently a District Leader for the Humane Society of the United States, a member of the AZ Wildlife team and recently lobbied in Washington D.C. as part of Take Action for Animals Conference. Betsy was also a speaker at the 2018 International Wolf Symposium, in Minneapolis, MN. Prior to Plan B she spent the last 25 years of her professional career in marketing, advertising and sales promotion, including event planning and execution, sponsorship and relationship development and public speaking engagements. Her client portfolio over the years has included well known international brands and in 2010 she formed her own company, The SmartGal Marketing Services. The diversity of her background includes working with numerous nonprofit organizations as a Board member, volunteer, project leader or staff. She was Marketing Chair on the Board of Directors for the Susan G. Komen Breast Cancer Foundation in Orange County, CA where her leadership team executed the sixth largest Race for the Cure event in the nation, breaking the previous year’s fundraising goal. Other nonprofit organizations she has been involved with include the Alzheimer’s Association, American Heart Association / Relay for Life, Working Wardrobes and Wolf Connection. Betsy served as Director of Marketing and Development for the Humane Society of Sedona (2012 – 2014). In addition to all her wolf and wildlife efforts Betsy is a supporter of the arts and is currently serving as Marketing Chair on the Board of Trustees for the Fine Art Museum of Sedona.